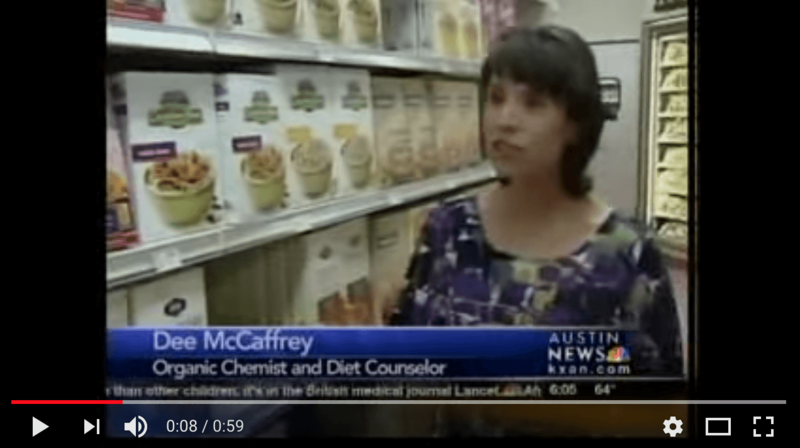 Dee McCaffrey is an organic chemist turned nutritionist and weight loss expert. She is an internationally acclaimed author who lost 100 pounds and has kept the weight off for over two decades. Dee frequently conducts nutrition lectures and cooking classes at venues throughout the United States. She has appeared on numerous TV and radio shows throughout the U.S. including National Public Radio (WNPR), The Doctors, Better TV, The List, and The Dr. Steve Show. Dee and her husband Michael McCaffrey are the founders of Processed-Free America, a non-profit organization dedicated to bringing a global awareness of the effect processed foods have on our health, and the healing properties of natural whole foods. In addition to her published books, Dee has developed an award-winning nutrition curriculum for children, and a certification program for adults to who want to teach the Processed-Free lifestyle to people in their communities. Dee is an adjunct faculty member in the nutrition department at The Southwest Institute of Healing Arts in Tempe, Arizona, and a professional member of the National Association of Nutrition Professionals and the American Association of Nutritional Consultants. She lives in Tempe, Arizona with her husband and two cats. © 2019 All rights reserved by Processed-Free America.